limedragon :) » Blog Archive » …Hello Illinois! (Very belatedly!) Nicole guessed correctly right off the bat after my last post. 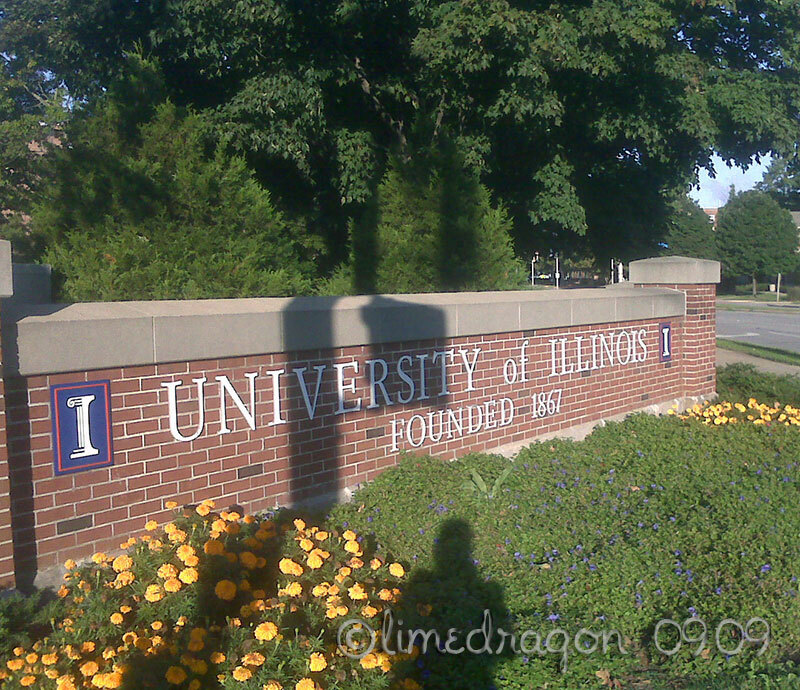 I’ve moved to UIUC to work on my MLIS (Master in Library and Information Science). I’ve been so frustrated with job hunting and trying to figure out what to do for the rest of my life. The answer finally came to me via Ravelry. Yep. I still knit, definitely. I’ll try to blog once in a while now that I’ve gotten more settled in this new place. Do you read soxanne’s blog? (http://soxanne.blogspot.com/) Her second career is as a University librarian at the U of MN, St. Paul campus. Ah ha! I saw your location had changed to Illinois on Ravelry, and I was wondering….. Good luck! Ahh… good luck with your future. Good luck with the degree program! This seems like an excellent time go back to school. Such a gorgeous campus! My Aunt-by-marriage was a Dean of the Library Sciences department some twenty years ago and my family drove down for a weekend for her wedding to my Uncle. So beautiful! Can’t wait to see more of your new surroundings. Good luck with your classes! Midterms coming up soon?